Sometimes it doesn’t take much effort to make a big difference in a child’s life. That’s one lesson you learn from reading submissions to the Because Project, a series of essays curated by the Vermont Children’s Trust Foundation and Kids VT, Seven Days’ monthly parenting publication. The Because Project invites Vermonters to share stories about people and experiences that have shaped their lives, particularly during their formative years. Kids VT prints one of these essays in every issue. Each essay begins with a statement that illustrates how a teacher, neighbor, family member or camp counselor has influenced the writer. The help or guidance adults offer in these stories ranges from minimal to extensive; in every case, it proves life changing. Kids VT has published 11 of these essays so far; we’re reprinting some of them here. Find the entire collection at kidsvt.com. VCTF conceived of the series as a way to encourage participation in the statewide prevention programs it supports. So if these stories inspire you to sign up to be a mentor, great. But if all they do is prompt you to share a kind word with the kid who lives around the block, that’s good, too. Another lesson you’ll learn from the Because Project: Reaching out to one kid creates a ripple effect that can touch lots of lives. You never know how far it might extend. She was not talking about dance, although I would have been pleased to hear that. She was talking about potential in life. I was 14 years old at the time. The camp was located on a farm in Binghamton, N.Y., and, by today’s standards, was very basic. Our activities consisted of piling into the back of a pickup truck with a milk can full of red Kool-Aid, which we would drink at the lake after our swim. We’d come back and play simple games like volleyball and ping-pong, and when it rained, we would make lanyards. The highlight of the season was the Color War. I was on the blue team. We were all from New York City, and before that, from war-torn Europe. I remember Zelda because she was the first person who said the word “potential” to me. My mother had talked to both me and my older brother about America as the land of opportunity, but I had never interpreted the American dream personally. My older brother was expected to write the next chapter of the Horatio Alger success story for the simple reason that he was a boy. There was no similar Harriet Alger. I don’t know exactly what Zelda saw in me that summer afternoon that made her tell me I had potential, but I do know what effect it had on me. Why else would I remember that brief conversation? It made me stand taller than if I had won first place in a dance contest. Her words allowed me to expand my sense of who I was and who I could become. They encouraged me to dream and, eventually, to strive to fulfill those dreams. “That means a lot to me, especially coming from you,” she said. 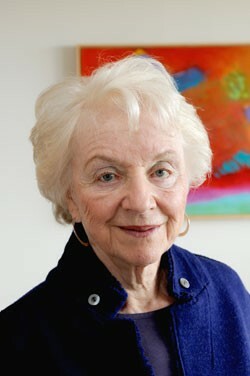 Madeleine Kunin was the first woman governor of Vermont, and served as deputy secretary of education and ambassador to Switzerland in the Clinton administration. She is currently a Marsh professor at the University of Vermont. Chelsea Green Publishing released her third book, The New Feminist Agenda, in April. Kunin has four grown children and lives in Burlington with her husband, John Hennessey. As a kid, I had what I deemed “off-stage fright.” I was a pale, awkward, sometimes socially inappropriate white girl with a dark Afro. I had a gravelly voice and used big words. Then, when I was 7 years old, I joined Riverside Children’s Theatre in Riverside, Calif., where I learned to project my voice, tap dance and sing pitch-perfect lyrics to every song in Annie. Joan Wing was my first teacher there. Joan recognized that I wanted to be famous. I wanted to be Annie. She played acting and theater games with her students. She’d give us a hat or sunglasses or cane, and we’d create characters and become each other’s audience. She taught me to memorize lines — and that no one dies from forgetting their lines onstage. She showed me that we wear masks all of the time: We play various characters offstage in our lives, and the more aware we are of what we want (our motivations) and how we get it (our tactics), the better we know ourselves (our character). Above all, she taught me to improvise in front of an audience, to trust my instincts and create something from nothing. One afternoon, Joan called me at home. A child-abuse-prevention organization had approached her in need of a child actress for educational videos they were creating. Joan thought I would be perfect. When the camera crew came to my house, I felt like I was doing something important. Those child-abuse-prevention films were shown in elementary schools throughout Riverside. Once in a while, a kid or parent would stop me in the mall to ask if I was that kid in the video. I didn’t feel like just a regular kid; I was an actress. Not one of those creepy child stars, but someone who acted out stories. This is what Joan taught me to do — act out stories believably. Joan believed in me. She saw a spark in me, which helped me see that spark in myself. Now I run my own theater program, Theatre-in-Action. I use improvisational techniques to educate youth about bullying prevention, conflict resolution and social justice. I’ve run workshops in schools and at social service organizations in Burlington, St. Albans and Montpelier and throughout Vermont. I think about Joan a lot — she’s the one who taught me that grown-ups can ignite a kid’s passions. That improvisation builds resilience, collaboration and acceptance; that theater can be a tool to help a child know herself. 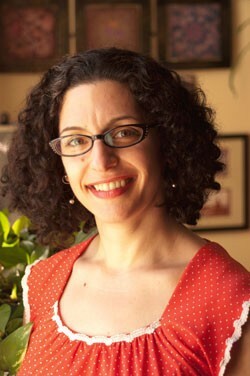 Kim Jordan is the founder and program director for Theatre-in-Action. She teaches acting and theater through Champlain College, the Community College of Vermont and the Flynn Center for the Performing Arts. I grew up close to my maternal grandparents — their house was just down the driveway from ours. They helped raise my brother and me. My granddad was retired, but when I was 7 years old, he was still doing some consulting, so he and my grandma traveled a lot. I remember my excitement when they’d return home from their trips, full of exotic stories and descriptions of new friends. Their suitcases inevitably held a gift for my brother and me. Once, after a trip to Hong Kong, they returned with a tiny, one-eighth-size red violin, perfect for a small pair of arms like mine. They knew I wanted one. A series of musicians had just visited my elementary school to demonstrate different instruments. One stunningly beautiful, elfin-looking woman played the violin. I had fallen instantly in love with it; when I got home I had announced that I wanted to play, too. I played for several years, then crossed a threshold of adolescence through which the violin could not pass. I was so afraid to disappoint my family, especially my grandparents, by quitting. They’d never been pushy about the instrument, but they had made it clear that if they were going to pay for my lessons, I was going to have to practice. To my great relief, everyone understood the changes I was going through, and they were unsurprised when, a year or two later, I quietly picked up the guitar and began writing songs. So much about those violin years informed and inspired my life as a songwriter today. There was the ear training and sense of melody that becomes second nature to very young players. There was the practicing — the daily dedication to a craft — which I still find difficult, but it’s still true that cups of tea and encouraging words make it easier. There was the knowledge that I could get up on stage even if my hands trembled and that, no matter what, my family loved it. I travel a lot nowadays, too; it was my grandparents who showed me that we can be at home in the world even when we’re far from home and that the world is a friendly, wonderful place, full of people who will take us in. Anaïs Mitchell is a musician, singer and songwriter who grew up in rural Addison County. She has produced five albums — four of them, including the soundtrack to her rock-opera Hadestown, are on Ani DiFranco’s label, Righteous Babe Records. Her fifth album, Young Man in America, came out on her own Wilderland Records earlier this year. I came to Harwood Union as a seventh grader, not knowing where I belonged in school. The middle and high school years are a very scary time. I found my home in the music department. Diane Phillips was my choir teacher. She made me feel like choir wasn’t just a class — it was a lifestyle. It was a commitment to my voice, and to quality, to becoming knowledgeable about different genres of music. When I was in 10th grade, I came to her with some music of my own, and asked if she would let me write it into a choral piece and have the entire choir perform it. She said yes. The sound a choir makes when they’re all singing notes you’ve written is pretty thrilling. It was a very ballsy thing for a teacher to do, to let go of the reins a little bit and allow a student to do that. I think she understood that I was reaching beyond the notes on the sheet music. And it wasn’t just me. She gave other students the same opportunity a couple times after I did it. I thought it was a really commendable thing for an adult to treat her students as peers and but also to be our mentor. She balanced that beautifully. Di would always spend extra time with you if you needed it. She didn’t just pack up her bags and go home at the end of the day. If you needed her, she was there for you. When kids are influenced by somebody, whether it’s at age 5 or 6 or during the formative teenage years, that respect never fades. Everybody understands the emotional connection you have to someone who encouraged you and pushed you to do things you may not have known you were capable of. I mentioned my trip to Di’s retirement celebration to my friend, country-music singer Kenny Chesney. Within a week, a white baby grand piano showed up at the school. He sent it because he related to my story; Kenny had an influential music teacher, too. Grace Potter is the piano-and-guitar-playing lead singer of Grace Potter and the Nocturnals. The band recently released its fourth studio album, The Lion the Beast and the Beat. For an awful lot of people who have figured out interesting paths in life, there seems to have been a teacher somewhere along the way who believed in them. I don’t mean “believed in them” in some sweet and sentimental way — I mean, believed that they were capable of more than they knew. For me, it was a high school history teacher named Ray Karras, who taught me at Lexington High School in Lexington, Mass. He was nobody’s stereotype of the “favorite teacher,” easy on the grades and eager to banter with his young charges. (That was the social studies teacher down the hall, in bell-bottoms and a mustache, who later went to jail for selling drugs.) No, Mr. Karras treated us as if we were, or should be, young academics. He demanded papers that presented well-laid-out arguments — long papers! If you asked him to write a college recommendation, he would — but only in a sealed envelope sent straight to the college, and it was well known that sometimes he told them to reject the applicant. So a compliment counted. I remember him telling me one day, “You’re a good writer.” I was used to adults telling me this, but only because I was glib and knew a lot of words and hence was able to get away with a good deal. When Mr. Karras said it, I actually believed it. Doubtless he gave me a B, but doubtless it was worth a good deal more than all the top grades I ever got. 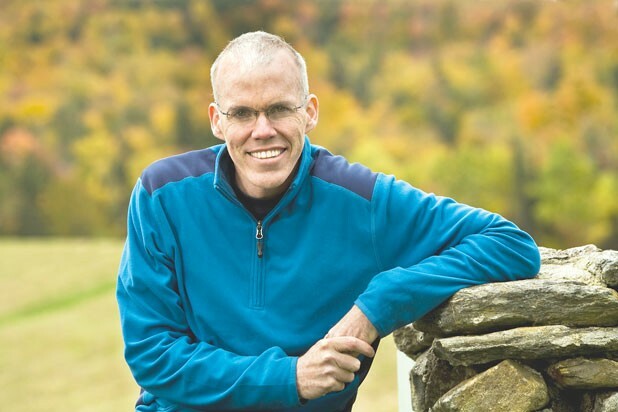 Bill McKibben is a scholar-in-residence at Middlebury College and the founder of 350.org, a grassroots group that combats climate change. He’s written a dozen books on the environment and is a frequent contributor to the Atlantic, the New York Times Magazine, Outside and Rolling Stone. I was 10 years old during the hot, steamy summer of 1963. Dr. Martin Luther King Jr. would lead the March on Washington in August, and the racism in my post-Jim Crow town of York, Penn., was palpable. My father was an entrepreneur acquiring apartment buildings in our neighborhood. He worked with Hugh Graham, director of the York Redevelopment Authority, which was located just across the street from our home. Mr. Graham was a stout white man with a shock of white hair and a wide smile. One afternoon I walked across the street to his office. I wanted to see my father, and I was wondering if he and Mr. Graham had finished their meeting. Mr. Graham said that my father had gone to another meeting. I saw a checkered board on a side table in his office with strange pieces on it. “That’s a chess set,” he said. “I’ve never heard of chess,” I told him. Mr. Graham asked me if I wanted to learn to play. I said I did. Over the next few weeks, he taught me the game. In chess, white and black pieces battle to the end, but beyond the board, exactly the opposite was happening — a white man was teaching a black person to play. I was captivated by the game. Later that summer, I brought home the Colston family’s first chess set. I paid forward Mr. Graham’s gift and taught friends in my neighborhood. I began to play in chess tournaments at the local YMCA. Chess taught me about strategy, perseverance and thinking outside the box. It showed me that by out-maneuvering my opponent, I proved I was every bit as smart. And it demonstrated that it didn’t matter whether you chose black or white chess pieces — you could be a winner either way. I didn’t realize it at the time, but Mr. Graham was a pioneer. What an uncommon connection we shared. I am forever grateful to him for taking the time to reach out to me. 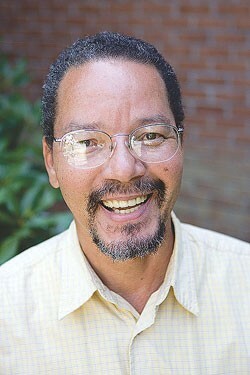 Hal Colston is a social entrepreneur who created the Good News Garage in 1996 and NeighborKeepers in 2006. In 2011, he was appointed by Gov. Peter Shumlin to be the executive director of SerVermont, which administers AmeriCorps state programs and has a mission to promote, support and recognize volunteerism and community service. Colston lives in Winooski. Got a story to submit to the Because Project? Email fagan@vtchildrenstrust.org. Submissions should be 300 to 600 words long and should respond to the prompt, “I am/decided to/learned to______because of ______.” Kids VT will feature one of these stories in each issue.